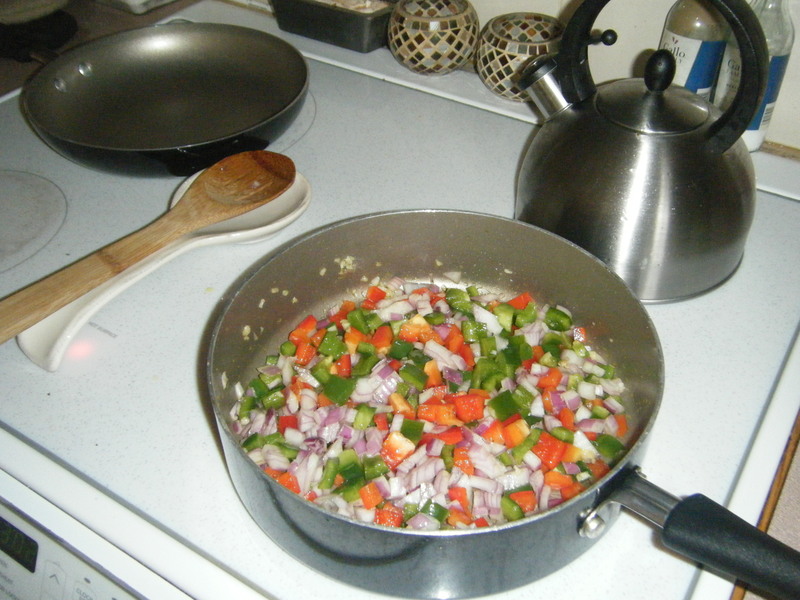 Nothing reminds me more of home then the smell of sauteing garlic, celery, peppers, and onions throughout the house! 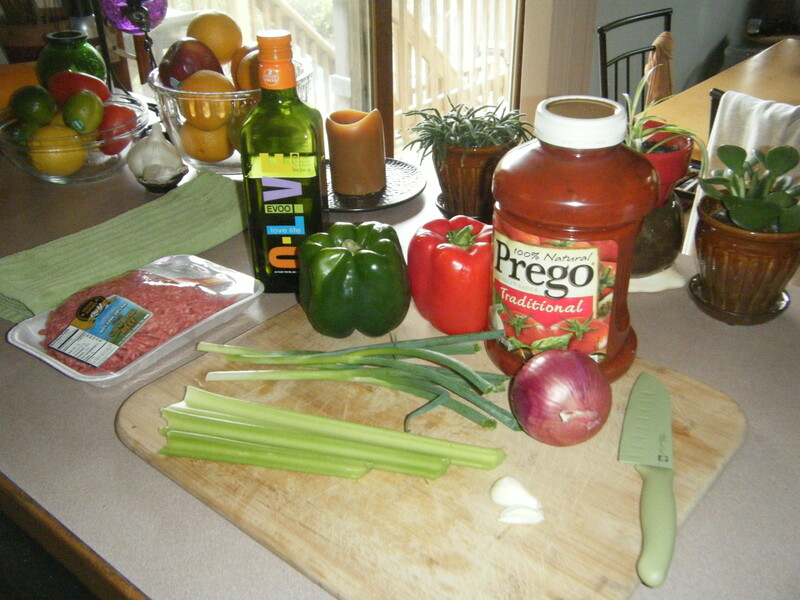 I remember the days when I would come home from school and my mom would be at her post in front of the stove browning ground up beef and sauteing veggies for her amazing pasta sauce. No matter how hard or long my day was, I would instantly melt into the couch with my book, patiently waiting to escape in a bowl of her American Chop Suey. Today, it is my go to dish when it is cold and windy outside. I know my roommates want to come home and pause for a few moments and appreciate some hearty home cooked food. 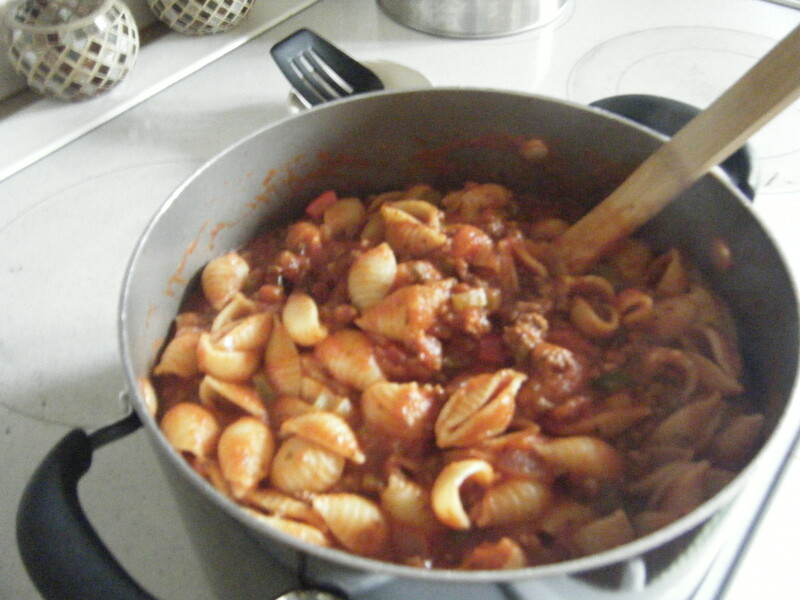 I have come to notice when I am making this for dinner and they come home, they kind of have one of those moments like I did when I was younger and you can see in their facial expressions that they are taken aback and are happy to be home as well. It just has that effect on people, i am telling you! Haha. Not only is it very easy and crowd pleasing, but it is also friendly on your wallet and only takes about 30 minutes to make! Unless you tend to snap pictures of everything that you are doing like myself, then it takes a bit longer haha. Either way, it is well worth it! 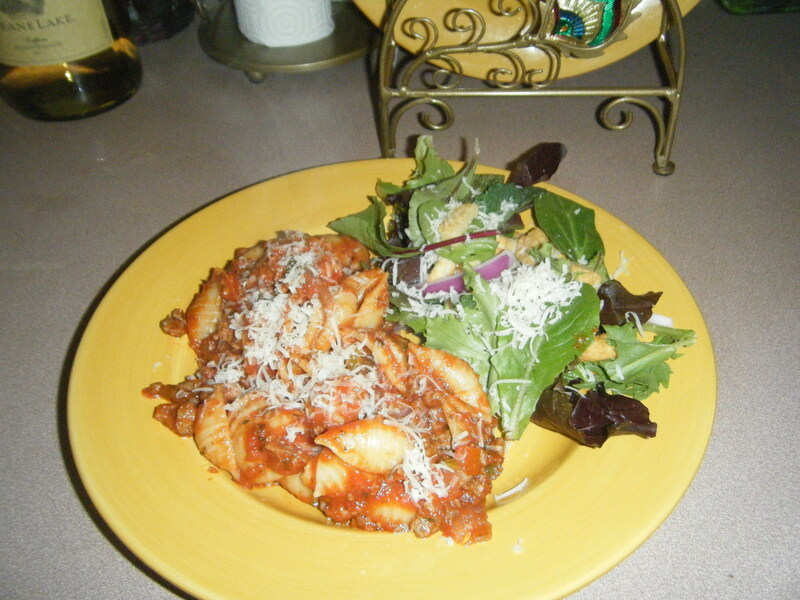 Tonight I prepared this pasta dish using Prego Pasta Sauce because I didn’t want to make a tomato sauce with it being a lazy day. No judging. 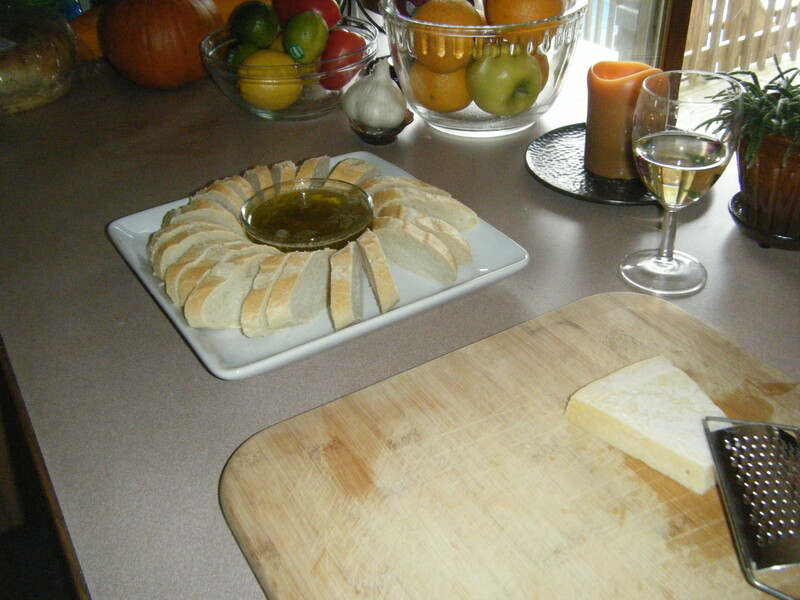 I paired this with my Garlic and Herb Dipping Oil with Fresh French Bread and a Tossed Spring Mix Salad with Toasted Garlic and Butter Croutons. Match made in heaven! 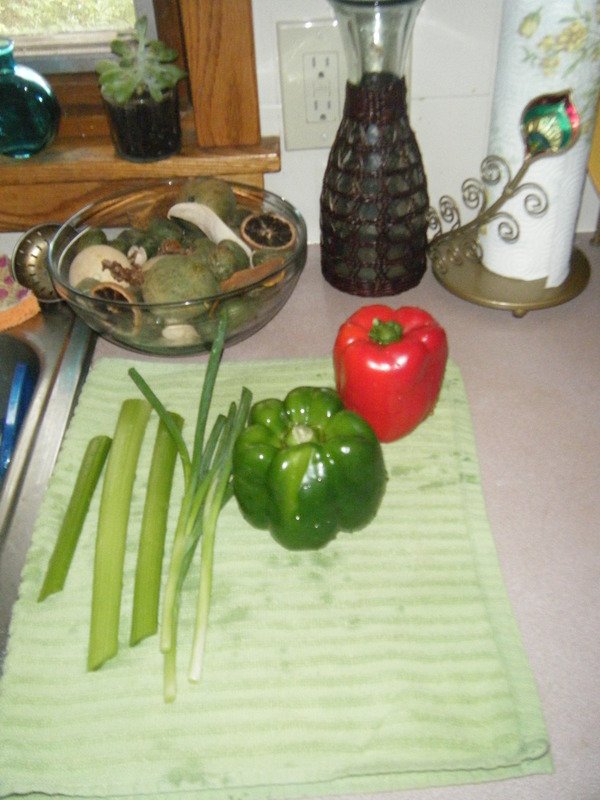 First things first… Wash your veggies! 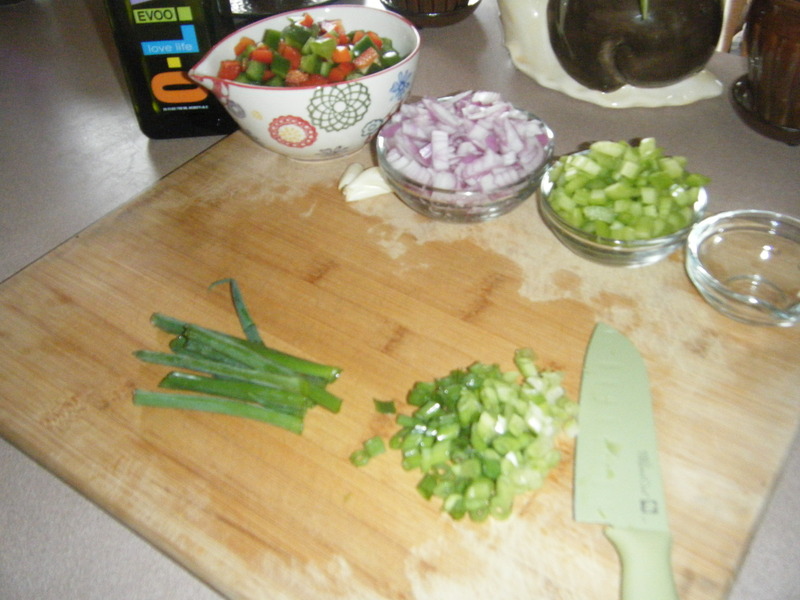 Coarsely chop your onion, peppers, celery, and green onions then smash and mince your garlic. YAY! 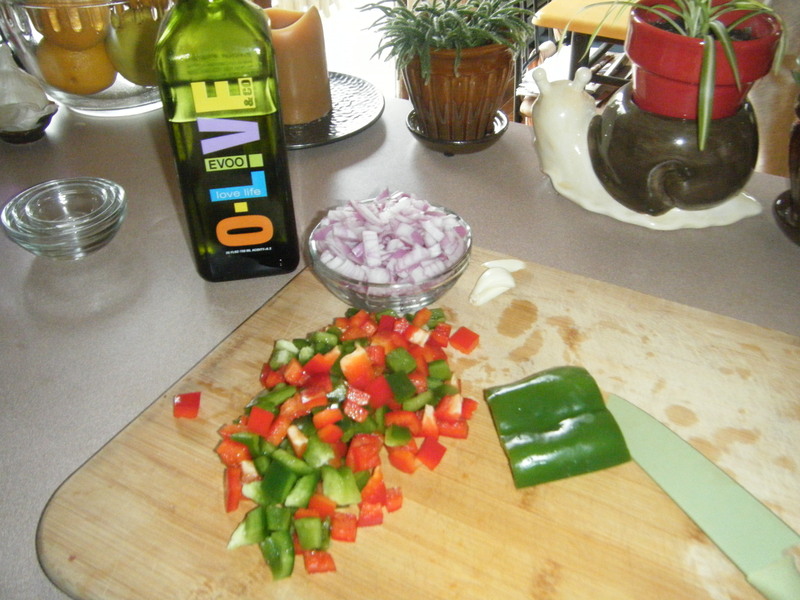 Now that this part is done, heat 2 Tbsp olive oil in a large skillet/sauce pan. 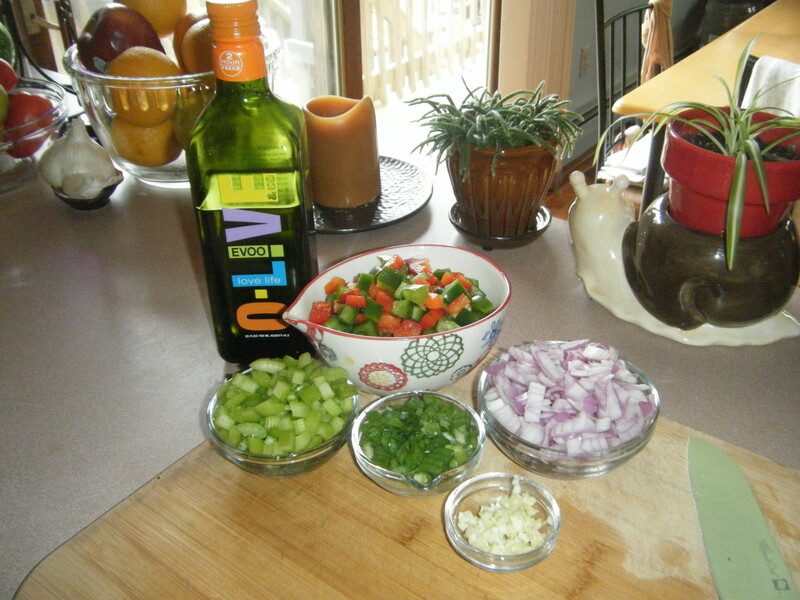 Once heated, add the garlic once fragrant, add all the veggies. 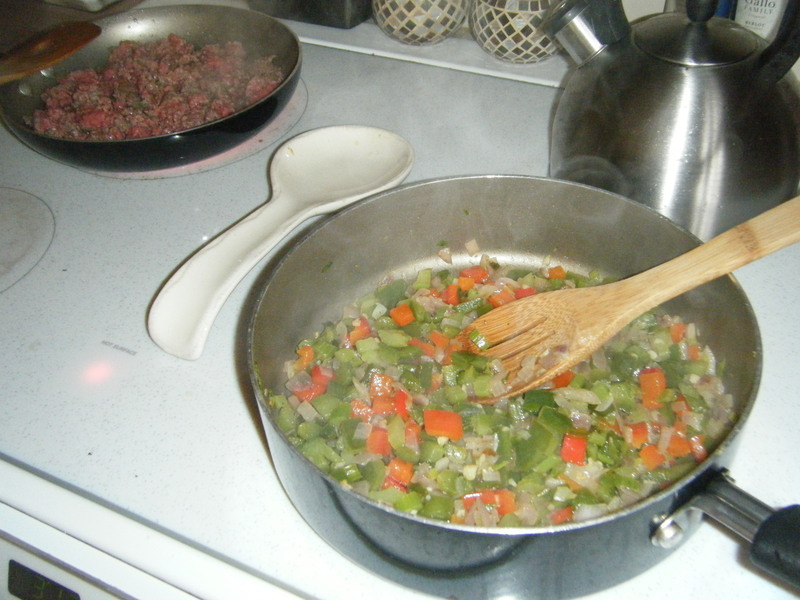 Once the veggies are in the skillet doing their magic, brown your beef in a medium skillet. Once browned, drain the fat. 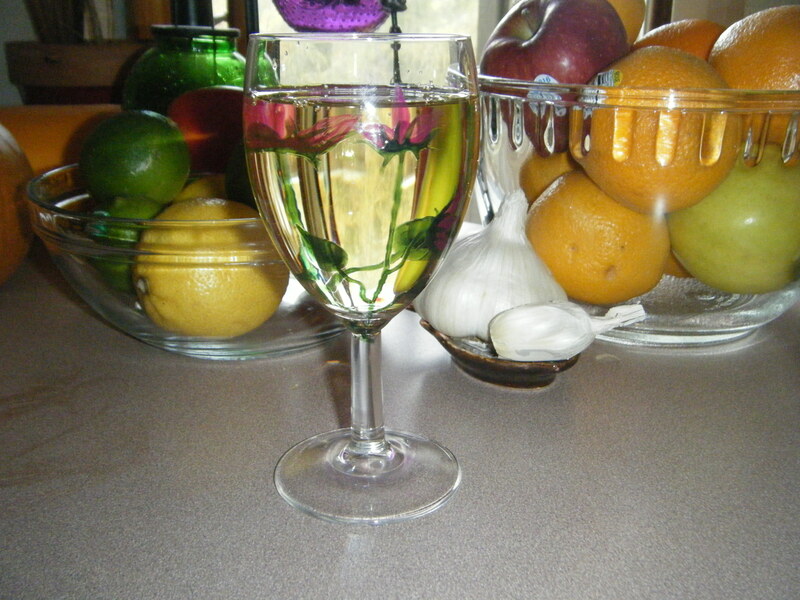 Also don’t forget to treat yourself to a glass of wine! Its 3pm by now, so it is perfectly acceptable! Now once your veggies have been sauteing for 10 minutes, they should be translucent. 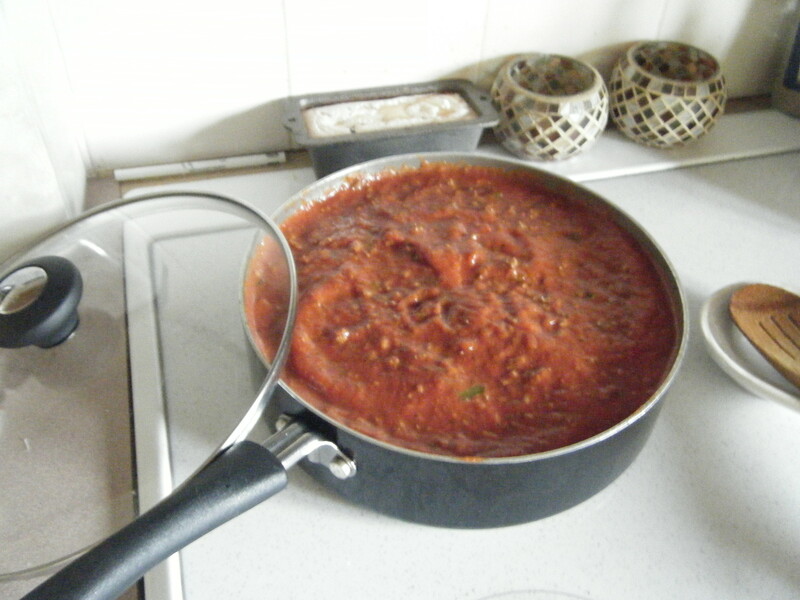 Combine the ground beef and pasta sauce to the large sauce pan your veggies are in. 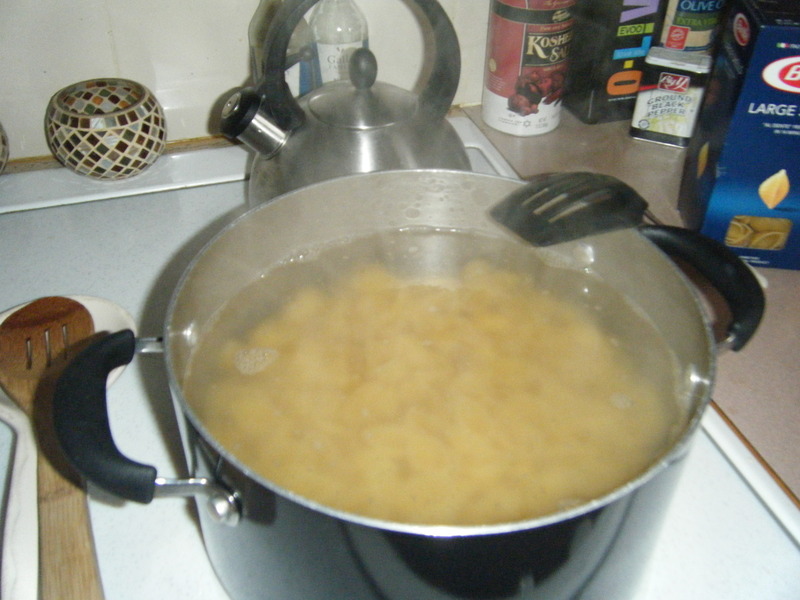 Simmer on low while you work on your pasta. 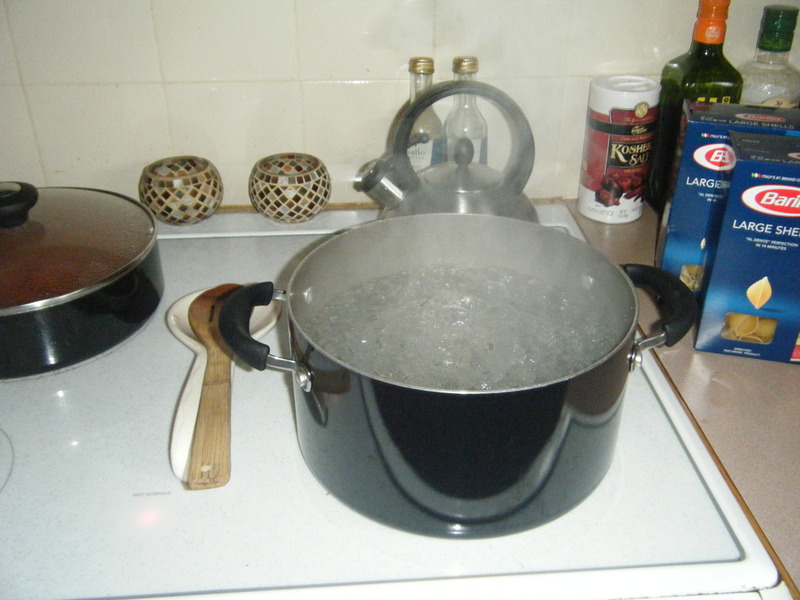 Bring a large pot of salted water to a boil, then stir in your pasta. 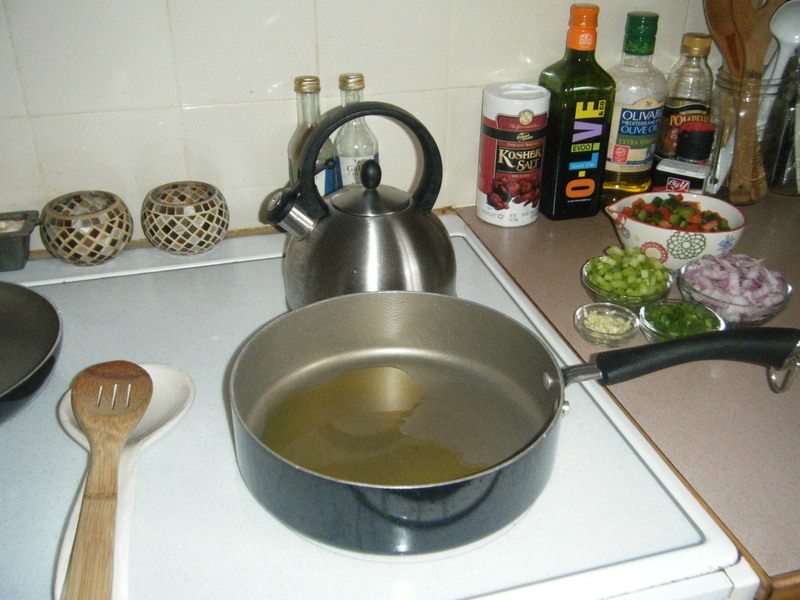 Cook according to directions then strain. 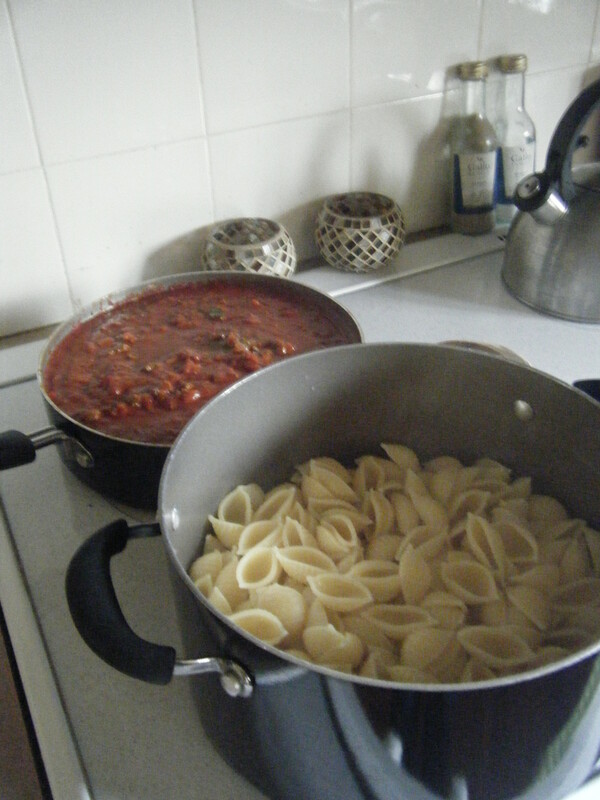 Now that all the pasta is cooked, stir in the pasta sauce and let set for about 10 minutes so the sauce thickens! 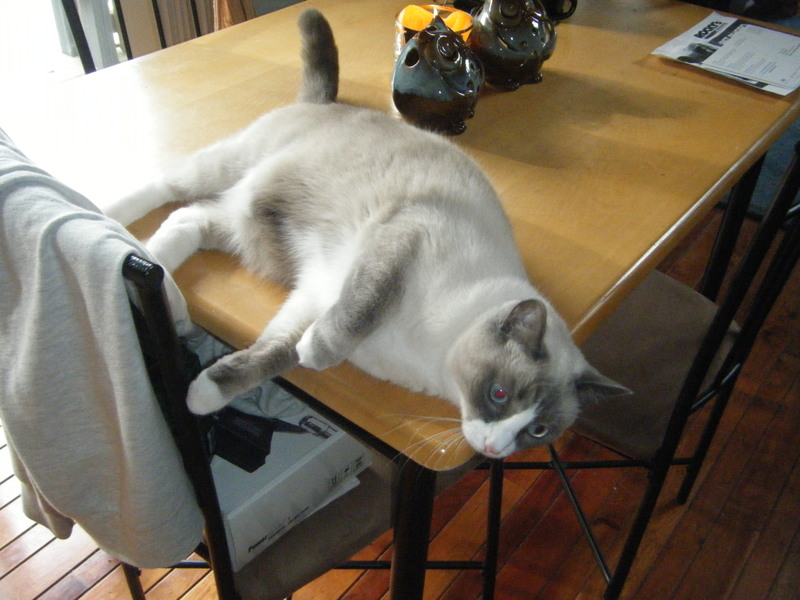 Yay while that does its thing spend some time with your dapper little kitty! 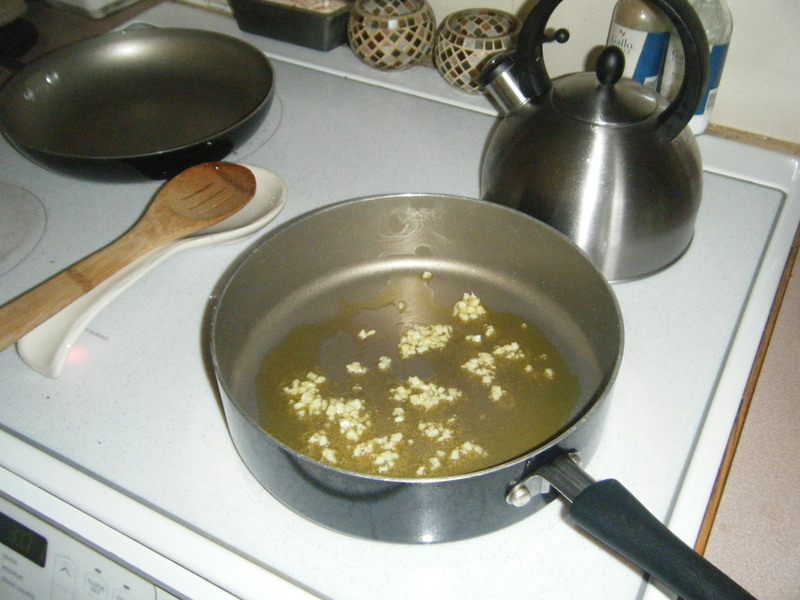 Alright, I hope you all enjoyed and don’t forget to stay tuned for my Garlic and Herb Dipping Oil recipe! it all looks so delicious as usual .. Thank you mom! I learned from the best…. Love you too!